The Willie & Max Slant Saddlebag Sets feature quick release buckles, zip off yokes and removable carry handles and plastic reinforcing for superior shape retention. The bags are made with 12 oz UV and water resistant vinyl to stand up to the toughest elements and the interior is supported with a plastic liner to help keep the bag from sagging. 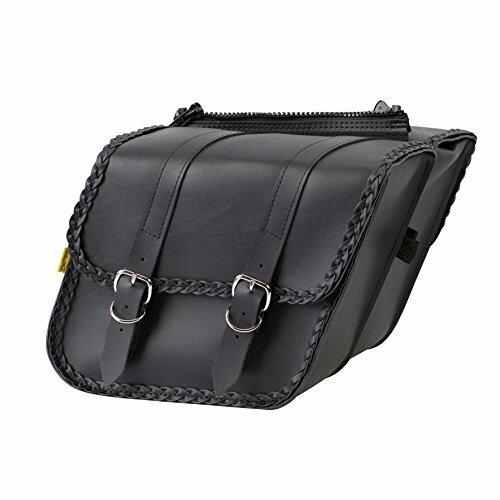 The quick release buckles hold the outer flap down while the black buckles give a modern look to the bags. Includes two bags and throwover system with zip off yokes. All of the bags are both designed and manufactured in the USA. Limited Lifetime Warranty.Designed and made in Wisconsin, USA.